Virginia bluebell is a common name for the flower known as the Mertensia Virginica, which is a flowering perennial plant that comes from the Boraginaceae family. This species of flower is native to the moist woodland in the eastern area of North America, commonly found in precious woods and river floodplains. 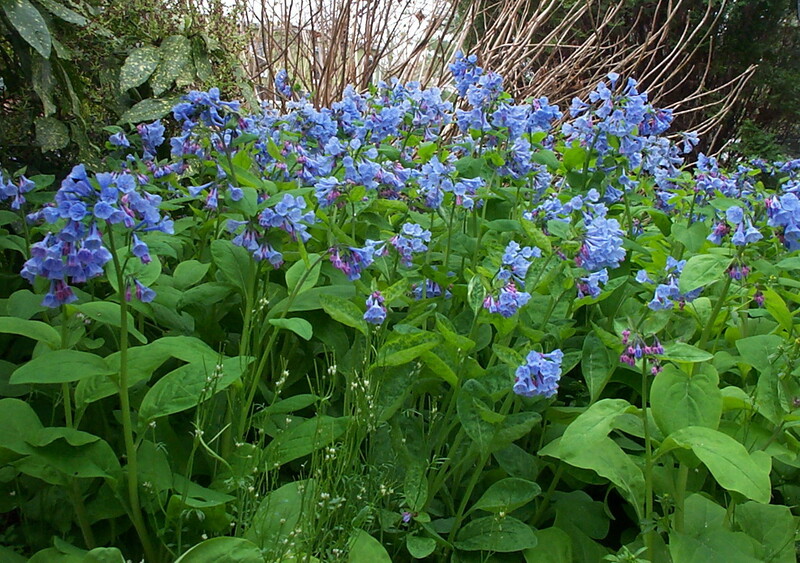 The Mertensia Virginica is a spring ephemeral plant which has bell-shaped flowers that are sky blue that open from pink buds; The flower's leaves are a grayish green an are rounded on stems that are approximately 24in (60 cm) tall at full growth. The bottom of the flower's stem is petiolate while the top is sessile. In early summer (From about March to April), each of the fertilized flowers produce four seeds within its wrinkled nuts, and then the plant will go dormant, and the foliage dies until next spring. Buy Virginia Blue Bells online CLICK HERE. Butterflies most frequently pollinate the Mertensia Virginica because of the ability to quickly perch themselves upon the edges of the flower while still being able to enjoy the plant's nectar. Bumblebees also occasionally pollinate the flower. However, it's rare due to the flower's funnel shape in which the bumblebee must hover. The Virginia bluebells are easily grown in well-drained soil given either part shade to full shade to sun exposure and experience no dangerous rated insect or disease problems. For use in the garden, this flower is best used in clumps around borders and rock gardens; However, since they do go dormant at the beginning of the summer, they will need to be overplanted with either annual or used in conjunction with flowers known as perennials for sale in the form of either ferns or hostas. Buy Online at an online nursery.